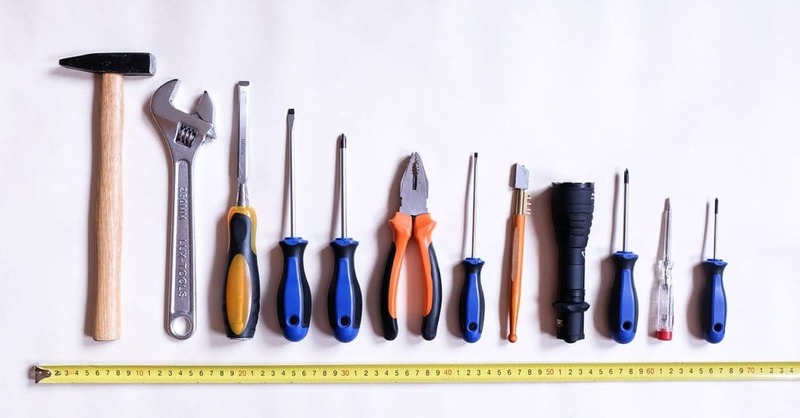 In this article I will present you more than 20 browser plugins that I find most useful for testing purposes. Most of them are Chrome extensions, the others are Firefox add-ons. You can use Window Resizer for testing responsiveness of a web page. Although it is easy to use, I prefer Chrome developer console for this purpose. This article explains shortly how you can do it, along with starting steps for several types of testing. I like the predefined dimensions with real devices names. You can use the developer toolbar even in incognito mode without additional setup, whereas to use other extensions you should first allow them to run in incognito mode through extensions options. Page Ruler is Chrome extension that allows you to measure elements on a web page. PerfectPixel is Chrome and Firefox extension. Allows you to load picture as a layer and to compare it with your current web page. Useful when you test for pixel perfect implementation of design. Colorzilla is Chrome and Firefox add-on for getting color from web page. WhatFont is plugin for detecting the fonts used in a web page. Grammarly for Chrome helps you test content and find spelling and grammar errors. You need to register, sometimes it slows your page, but it has a short learning curve. Pushbullet is Chrome and Firefox extension for syncing data between devices. 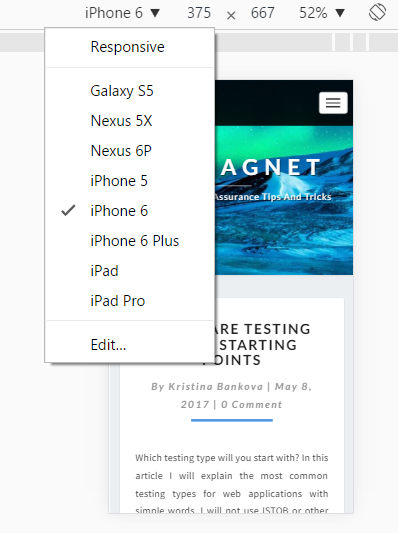 I use it when I test design of a page with long URL on different devices. I send the URL from my Chrome browser and then I receive the same URL on the mobile devices that I test on. Initial setup can be time-consuming as you should install Pushbullet application on all your devices, but it is worth it. 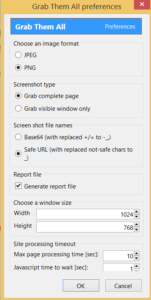 Grab Them All is a Firefox plugin, I make screenshots of multiple web pages with it. I am not aware of plugin with similar functionality for Chrome. Unfortunately Grab Them All plugin is not compatible with Firefox Quantum. Full Page Screen Capture captures full page screenshots, but does not have the feature I value most. Grab Them All the most awesome feature is that it accepts input file with URLs and name of directory where the screenshots will be saved. You can specify the dimensions for the screenshots. You can capture both the visible and the parts of the web page that are accessible via scrolling. To see the options menu, go to Firefox Add-ons. Jing is a desktop tool for making screenshots and short videos up to 5 minutes. You should make an account with screencast.com if you want to share them. LinkClump is Chrome extension for opening multiple links. I like it because I don’t need to click every single link manually. Just draw a rectangle and the links in it are opened. Add-on with similar functionality for Firefox is Snap Links Plus. I like Link Klipper for its ability to extract and export links from page. Tab Snap Chrome extension would be helpful for you if you need to get all your open browser tabs URLs. Also if you want to copy URLs from your file and open them all. Firefox Pinger add-on checks for broken links. It is available on right mouse click after the installation. Unfortunately it is not compatible with Firefox Quantum. You can use Check My Links as a substitute. Sometimes it is slow. Ditto is a great desktop tool for storing your copied data, you can configure how many entries it could save. Think of it as an advanced clipboard. With Ditto the standard Ctrl+C for copying, Ctrl+V for pasting combination gains more power. You should configure it wisely and handle passwords copying carefully so that no passwords are left for hackers in your Ditto database. SEOquake provides multiple metrics and improvement recommendations. YSlow is plugin for performance testing. Has nice suggestions for speed improving and several graphics. You can also use the developer console for testing, here is article with example for performance testing. FreeMyBrowser is a plugin for testing, that hides your IP. You have to give your email address to use it. Has several predefined countries locations like Germany. GeoProxy has a huge list of proxies all around the world. No registration is required. Funkify is a great Chrome extension for accessibility testing, currently in beta. It allows you to experience the web browsing in the shoes of a person with different disabilities. Relative XPath Helper and XPath Helper are useful when you need to test your XPath expressions. For more ways to test XPath expressions, please visit this page. RSS Feed Reader for Chrome allows you to easily see updates from Atom and RSS feeds. JSON Formatter makes JSON data easier to read in your Chrome browser. If you prefer, you can use an online JSON code beautifier. I presented you more than 20 useful browser plugins, used for visual, performance, content and SEO testing. Have I missed your favorite plugin? Yes? Sorry, I have written only about the plugins I use most often. Feel free to include it in comments, along with the reason why it is awesome.